Doing fieldwork amongst bobbin lace makers in the Central Slovak villages of Staré Hory and Špania Dolina in the mid- to late 2000s, I was faced with an unexpected paradox: when speaking to me, artisans would present their craft work as a pleasurable hobby, then as menial labour, and later as a dangerously addictive obsession. In the very same conversation, I was told that making lace was ‘work’ and a way of ‘making do’ in times of economic hardship, and barely a breath later artisans would claim that craft practice was nothing more than a personal indulgence and a ‘labour of love’. Artisans seemed equally ambivalent in their descriptions of their experience of making lace itself. 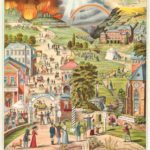 They would emphasize the emotional and therapeutic aspects of craft practice, and then warn me that it could develop into an obsessive ‘sickness’ or a kind of nervous disorder for which there was no cure. The process of making was described in terms of mastery and control, but also in terms of submission brought on by a seduction of the craftswoman by her own tools. 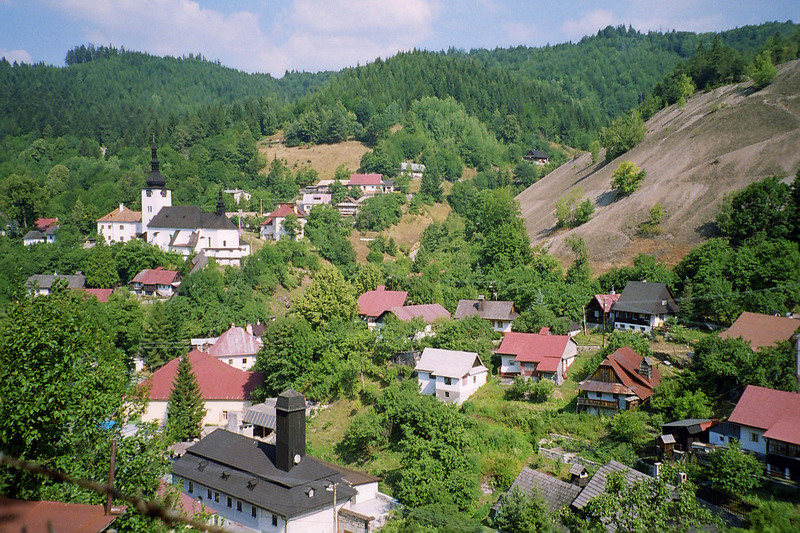 The lace making village of Spania Dolina in Central Slovakia. The pleasure with which Jana described how she finally learned the half-stitch illustrates how the acquisition of skill was experienced emotionally. Jana had quite literally mastered the half-stitch because it was only when she was no longer engaged in a frustrating battle with bobbins and thread which did not respond to her efforts that she experienced the ‘flow’ sensation which followed confidence in craft activity. 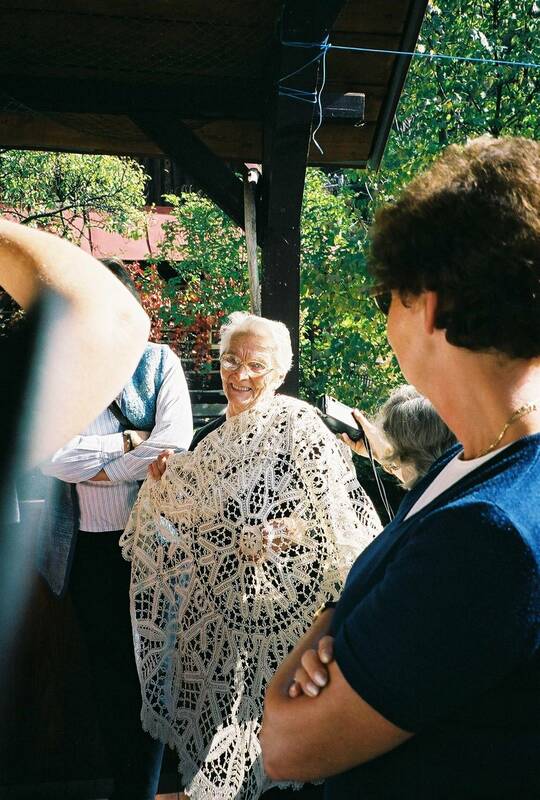 A lace maker from the village of Stare Hory, Central Slovakia, shows off a lace tablecloth. This submission seemed not only to have a pleasurable aspect, but also an addictive power. The un-worked pillow often came up in conversation as a picture of seduction, the pillow itself often being treated as the lace maker’s partner (or adversary) in the process of production. It was not unusual for artisans to stroke (or hit) and speak to their pillows (‘Sit still’! or ‘Now, look what you have done’!). The author making lace while doing fieldwork. Jozefina Mišíková was a lively elderly lady, who at the age of 70 began selling her lace by renting stands at folk festivals and seasonal markets across the country. 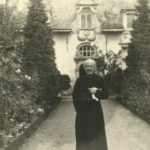 Mišíková reasoned that she was lonely after her husband’s death, but also that she needed an extra income to supplement her meagre old age pension. 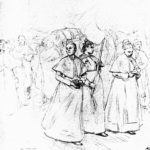 Despite her advanced age, she was not only willing to travel several hundreds of kilometres to attend festivals, but she was also a very astute saleswoman, quickly mapping which festivals were worth attending, as well as the tastes of various groups of clients. Mrs Mišíková’s efforts to gain a small income from her craft work were not unique: Whether in Banská Bystrica town, or in the villages of Špania Dolina and Staré Hory, lace making emerged as a way of ‘making do’, that is, of supplementing the income from employment, old age pensions, and social benefits. 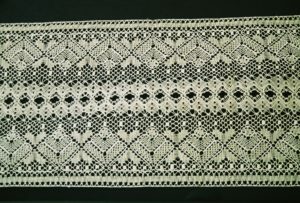 For some informants, like the 26-year-old designer Jaroslava Genderová, who worked for a local clothing manufacturer in Banská Bystrica, ‘making do’ through lace making was a vital part of the family’s domestic economy – the manufacturer she was working for was limping towards bankruptcy and owed her several months wages. As another lace maker living in Špania Dolina told me: Well in this day and age every crown is precious. I don’t mean just for me, but for the other ladies too, for everyone. Ana Paličková’s statement that ‘(t)hose who didn’t need to, didn’t’ take on difficult orders reveals a pragmatic attitude contrasted to women’s propensity to call their lace making a ‘hobby’ or ‘obsession’ at face value. Moreover, Mrs Paličková’s comment shed light on the apparently addictive nature of lace making practice: It not only suggested that craftswomen were able to resist its seductive aspects, but that lace makers highlighted various aspects of their craft practice according to the context in which it is spoken of. 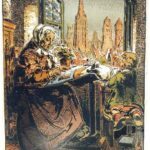 For example, the lace maker Dagmar Babjaková described lace making both as an obsessive hobby (‘Well, when I have a new pattern, I get up at five in the morning. It won’t (leave me alone), I have to get up’) and a source of income (‘Well, in this day and age every crown is precious’). Pleasure and pragmatism, just like submission and mastery, were not incompatible, but appeared to be used instrumentally by craftswomen in conversation. 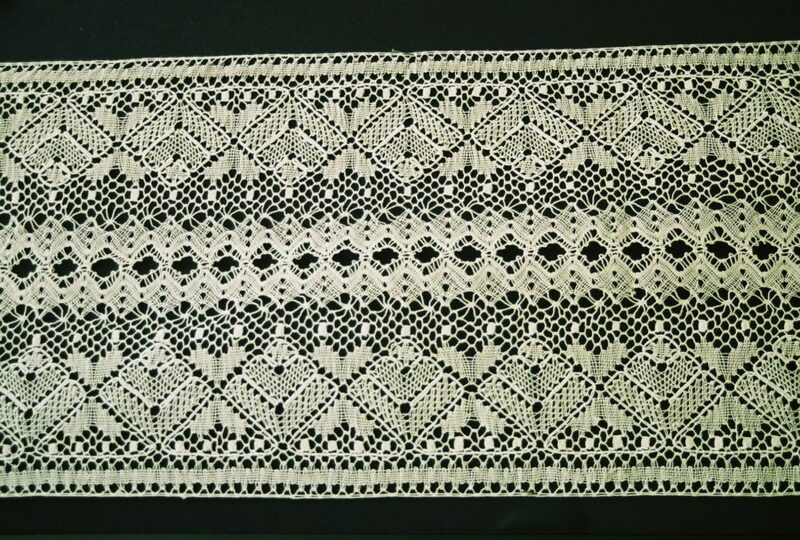 When I left the Slovakia and began writing up my findings, I assumed that the experience of lace making as both a pleasurable hobby and as drudgery was unique to the Slovak environment – that is was the result of the harsh economic climate following the end of communism, alongside specific local traditions of domesticity, ideals of femininity, and traditions of lace making as a way for women to supplement the income of their male family members (fathers, husbands, brothers, sons). And yet, when studying the historical experience of lace makers in England in the 19th and early 20th centuries, I found that craftswomen expressed many of the very same mixed feelings of enjoyment, obsession, and distaste towards the craft (see the blog post: Pleasure and Pain: What can lace makers’ tools tell us about their lives?). 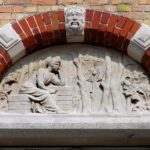 This begs the question of whether – and to what extent – such feelings are the result of the experience of craft work itself, and how much this experience of making is itself influenced by the social and cultural context in which it takes place.